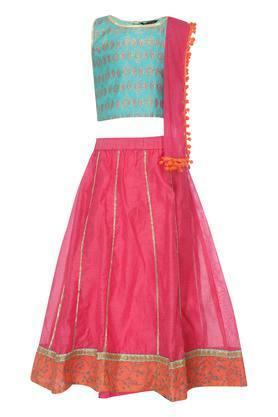 Stop brings to you this ghaghra choli dupatta set for your little daughter for lending her a princess like look. 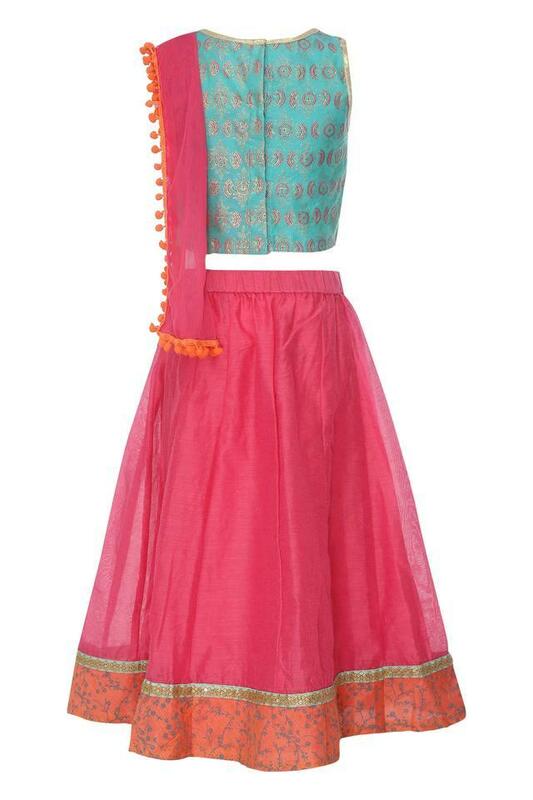 It has been tailored using a fine quality fabric to give her a comfortable feel. 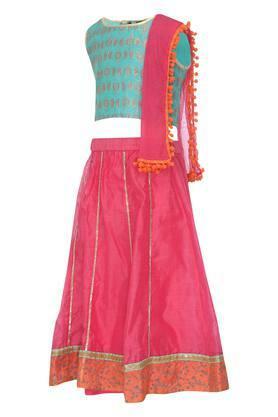 Besides, the tassel detailing on the dupatta makes the attire all the more appealing. Boost the attire of your daughter by letting her wear this attractively designed ghaghra choli dupatta set for the next party. She can team it with a pair of flat sandals to accentuate her look.